There is no better place to reconnect with friends and colleagues! Several custom packages are also available. Contact Gilles Talbot at gilles@newworld.ca for more information. 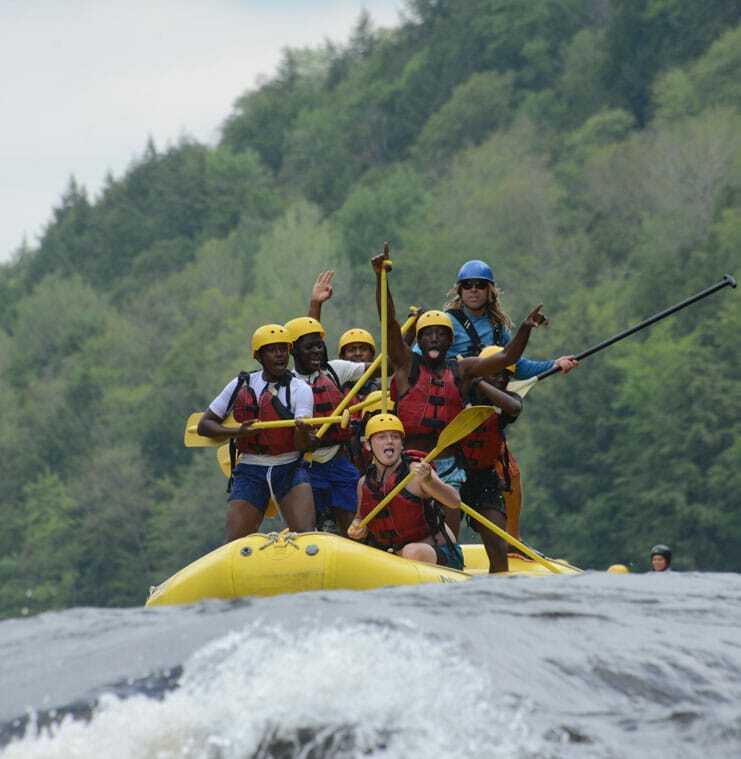 Rafting with school groups is a great way to introduce students to the world of white-water activities. They will get a chance to learn basic safety rules and rafting techniques in a very safe environment. This rafting experience will help students understand rivers and rapids better and to respect rushing water and basic safety rules that need to be adopted. Several packages are available for all types of rafting and river adventures. Contact Gilles Talbot at gilles@newworld.ca for more information.